For larger images of the shingle colors, please click here. However, due to varying computer screen resolutions and settings, the color you see on your screen may not be accurate. Please see your local dealer for shingle and siding samples that will display the true color and texture. 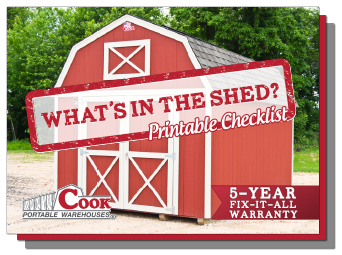 Do you know what’s inside your shed?